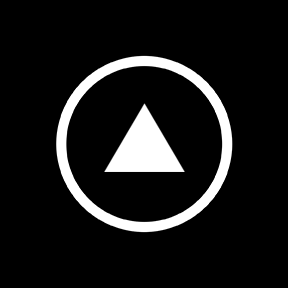 Feeling a little bold? 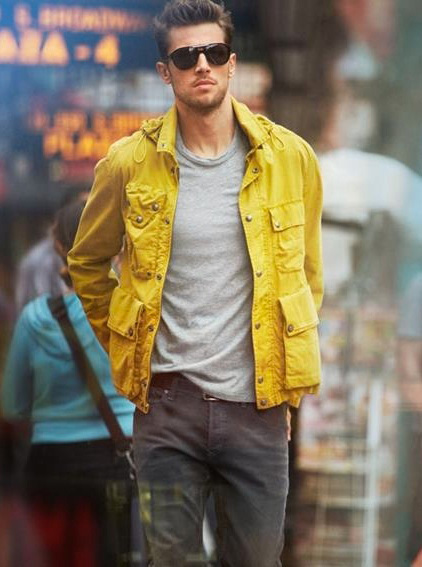 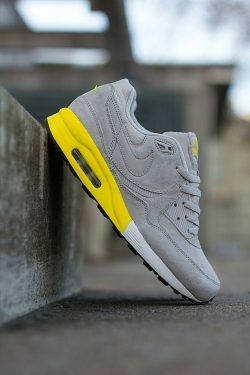 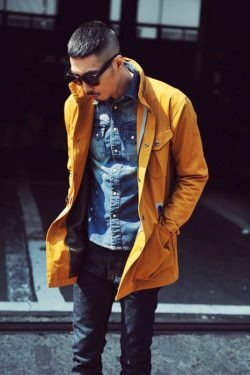 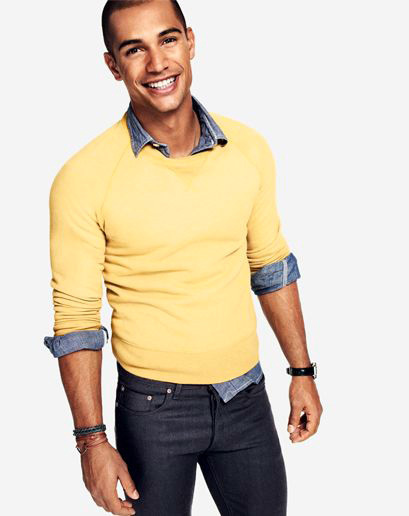 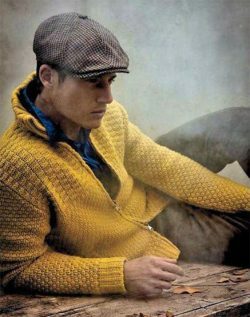 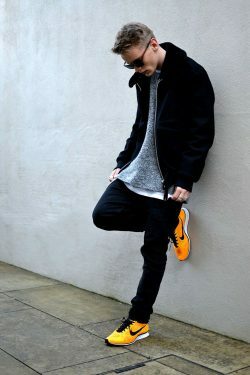 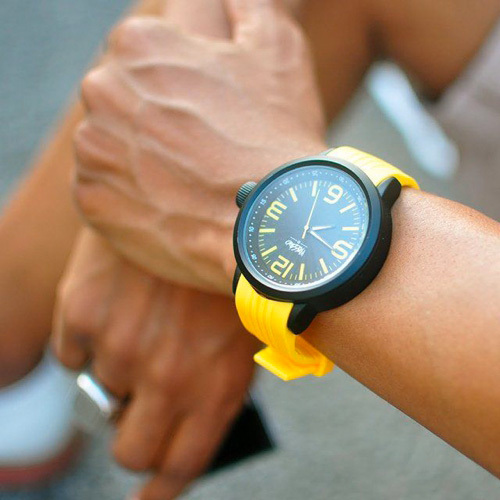 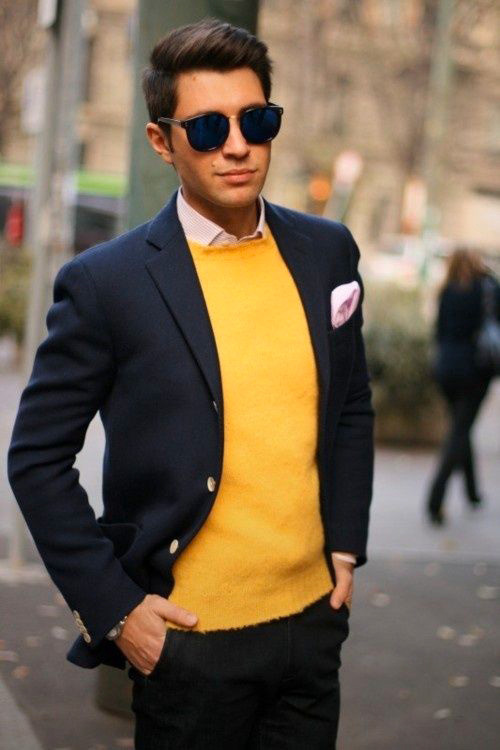 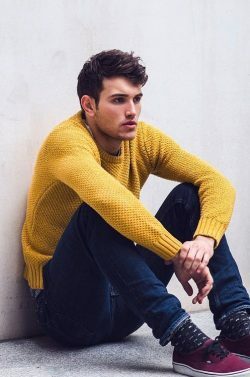 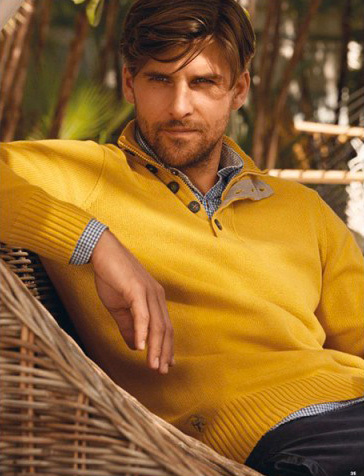 Yellow is a great way to make your outfit stand out. 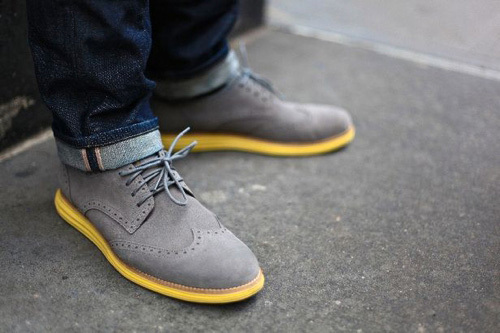 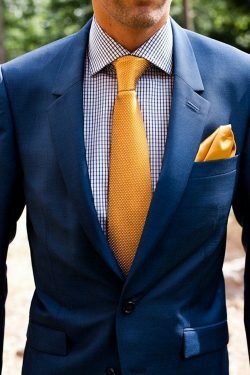 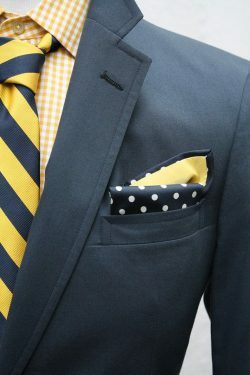 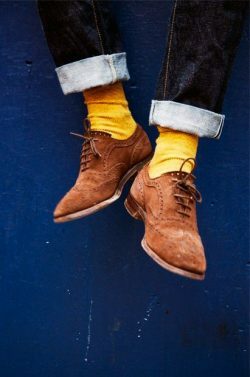 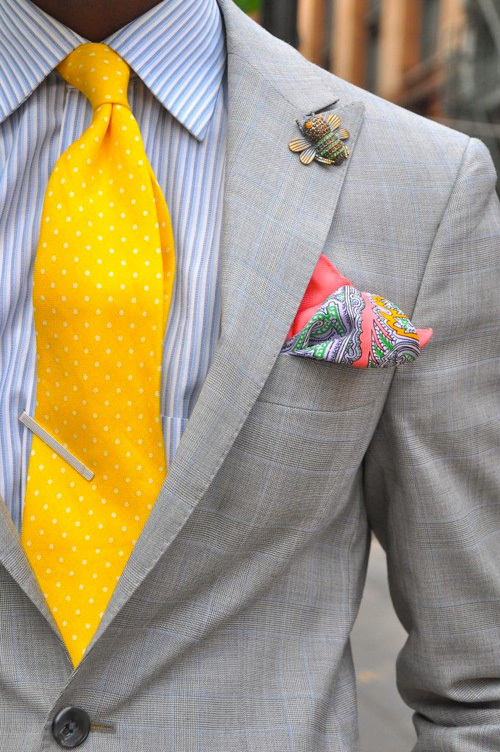 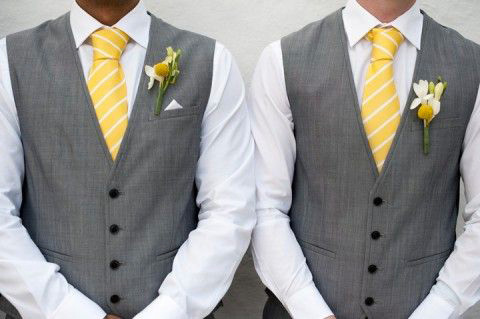 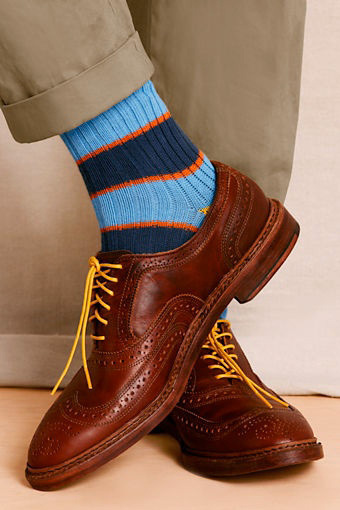 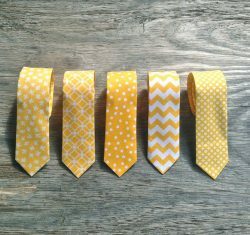 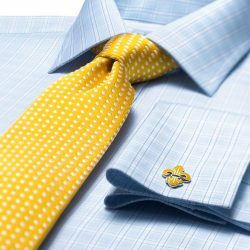 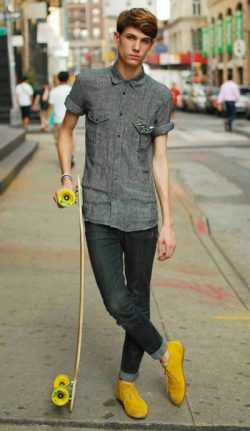 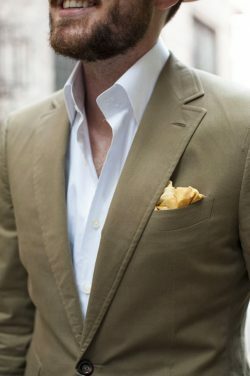 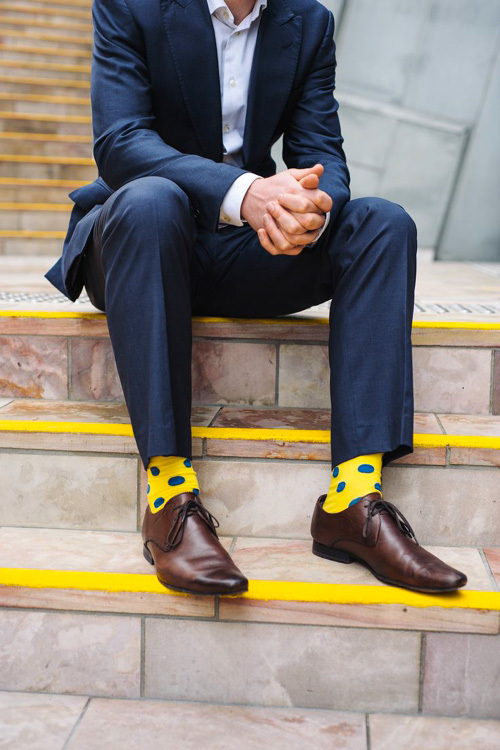 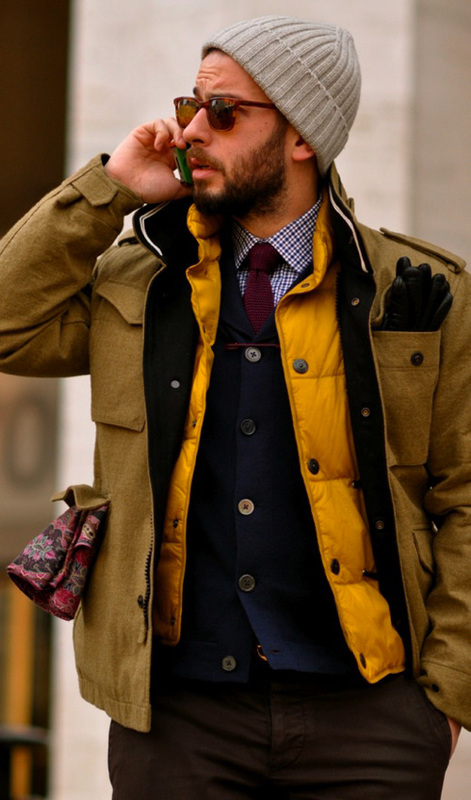 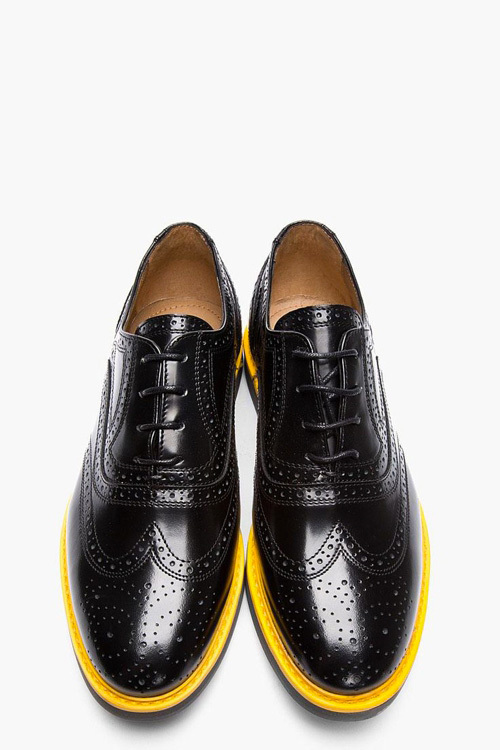 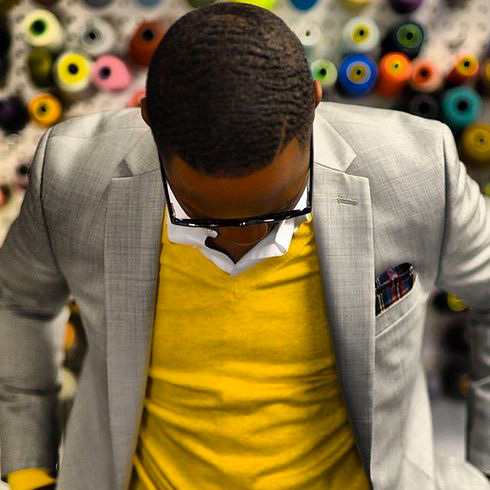 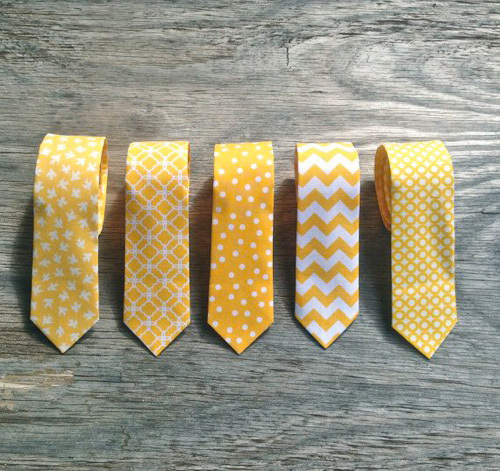 You can try wearing yellow socks or a yellow tie, or accessorize with a yellow hanky or lapel pin. 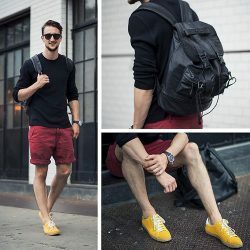 Still want something that will just pop? 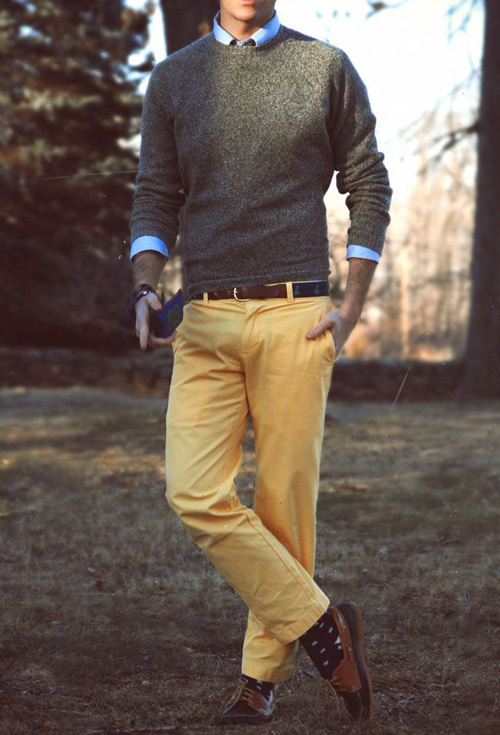 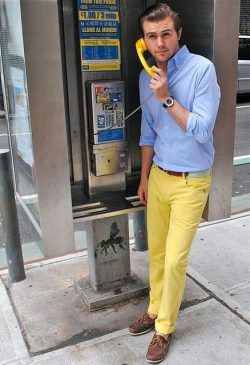 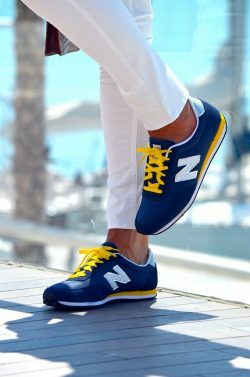 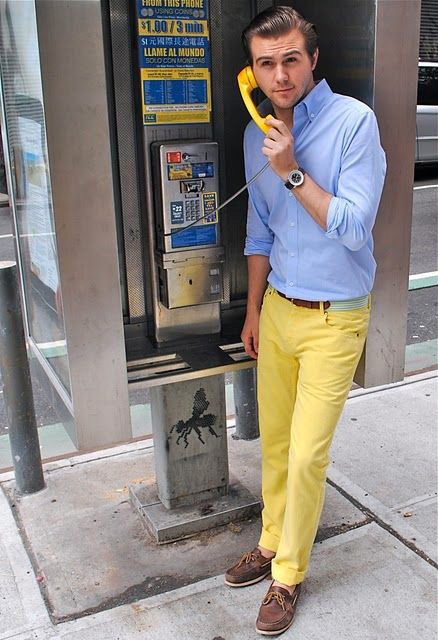 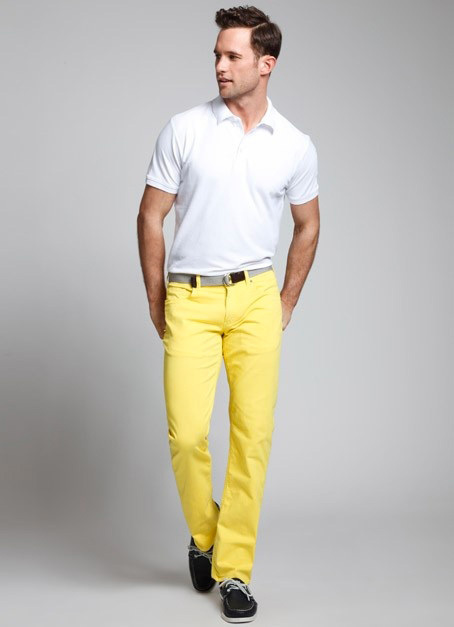 Try wearing yellow pants or shoes. 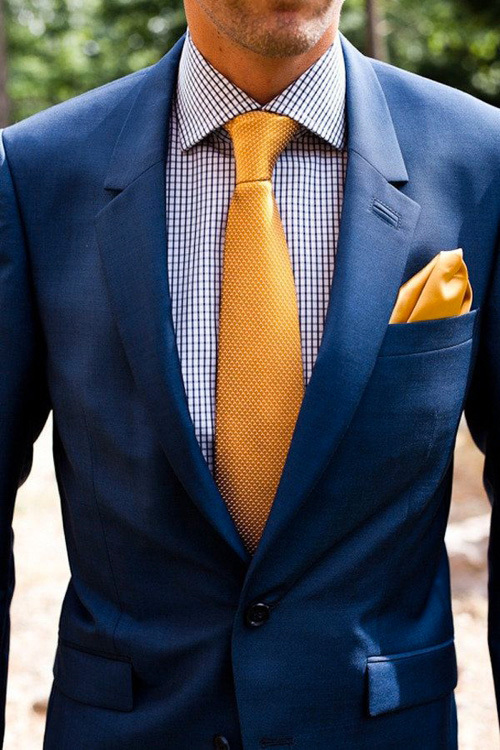 I guarantee that you will turn heads.